Appearance: Don't have a good perfect picture of her with her ice and crystal effect. My profile image will have to do. Just picture her having that frozen crystal effect. Shes one cold pony! Background: During the war she stayed hidden as much as she could to stay out up until taking interest in the MoM. Difficulties were to be found with the MAS wanting Arctic for research. 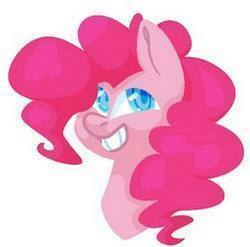 Surely Pinkie handled it or had some sort of deal. She showed the perks of Royality to the Ministry and loved to attend every party she could. She wasn't that good at planning parties, or so she thought she wasn't. So she became a Pink. //sorry about late reply but coming up! The Megaspells, Balefires, had destroyed much of Equestria, not just the country but the spirit of Equestria. Ponies laid dead, millions perhaps never survived, some survived the first detonations only to become so sick with taint that they’d end up dropping or maybe worse down the line. Fires burned within the cities, buildings crumbled, civilisation fell into chaos, what was left of it anyway. 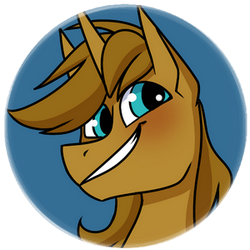 At first, there were riots, looting, horrid acts of Ponykind that would not go unpunished in the world before. With no police or Military to stop it though, it burns out of control, leading to the evillest of ponies getting on top. The biggest threat to anypony at this point was ponies themselves. Before the war you were all at the Ministry of Morale hub in Manehatten or Fillydelphia though you were some of the lucky ones, who got to go home early for other ponies to take over your shifts. You survived the bombs after in your own ways, ways that no-pony is really going to pry into but all that matters are that you survived. Now, you have all headed the call from a pony named as Strawberry Fields, one of Pinkies personal body guards who sent out a distress beacon to those of the ministry. All of you have gathered at and old Metro station within the suburbs of Manehatten. It was safer to keep underground or around the city limits as the residue magic from the megaspells of balefire bombs still littered in high pockets around the major cities. The site near the impact crater within Manehatten was still a no-go zone and would be suicide to go anywhere near. Strawberry wasn’t alone though when you arrived, three others would be with her. A Hippogryth (Gris’ character), a Pegasus wearing armour that looked bug look in appearance along with twin laser weapons protruding from his chest and scorpion like tail. He was Light Breaker, assigned to the Ministry of Morale before the bombs fell. He was grey with a shady blonde mane, short but was mostly hidden by his visor that protected his face. 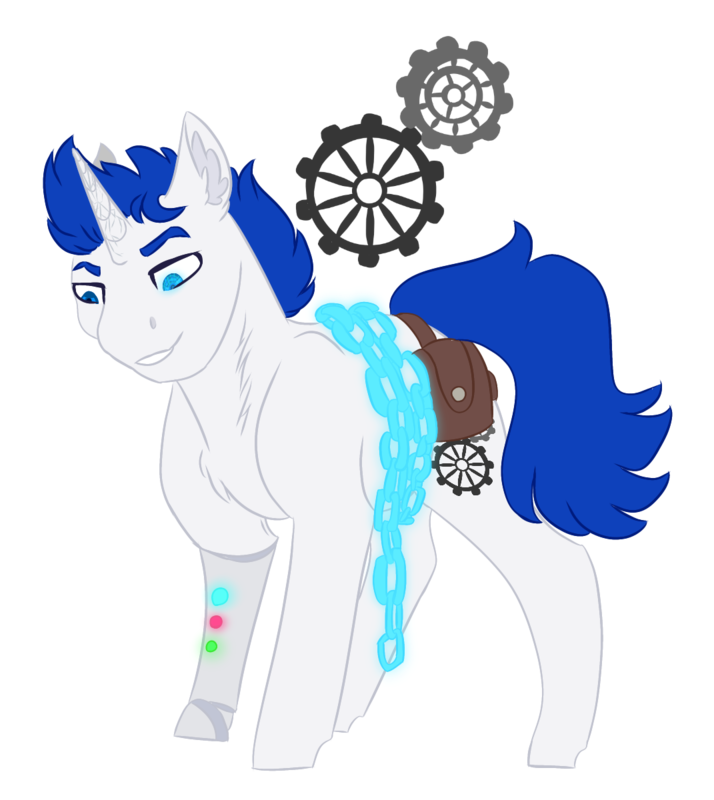 Another was A stallion unicorn, dressed in a doctor robes which bore the label of the Ministry of Peace upon it and on his back, was a saddle bag filled with medical supplies. He was pale purple with a light brown mane and tail and folks only really knew him as bones or bonehead. Strawberry though was a white unicorn with a red and white coloured candy cane like mane that flowed quite long. 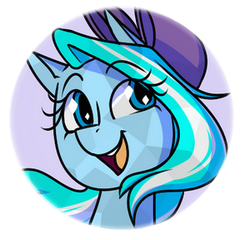 She was in charge of this rag tag bunch of ponies but in terms of Ministry, she outranked all of you but was appointed leader also by the others. Pulse with his small stature raised his hoof in the air to draw attention to himself "We need to arm ourselves as best we can as soon as we can. If the zebras fired first they must have expected retalliation and could have put most of their millitary into safe locations before they launched their spells. If that's the case we need to prepare for an all out war. One where we are probably out numbered. I suggest we find out who in our group can fight and who can't and we divide the work evenly based on that factor"
Gear nods with resolve and grabs the gas mask. "Are you my mummy?" He whispers to himself, in another time, he'd have laughed at that. "They won't want this place, I think" Gear says. "They blew it all to tartarus. I can only imagine what horrors are out there. But we can't just give up. I won't. I don't know about all of you. I wasn't a fighter. I brought coffee and fixed equipment. But I'll be sent to the moon before I let anypony, er, anyBODY I care about get hurt." He thinks for a moment about the way the world already changed. He didn't know what was worse. The end of the world. Or the end of pony decency. He talked big, but he was scared. Terrified that he'd have to make good on the guarantee he just gave. He growls slightly "This was never about taking our land! It was about killing us! All of us!" The small unicorn continues "We were a threat so they blow up our homes and soon they'll be coming for the survivors! It's foolish if we don't prepare for a war! The Zebra's destroyed our homes and we couldn't stop it but now we have a chance to get revenge for our friends, Our family, Our country. So I say we must prepare to fight and we need to do it quickly"